As a wife and mama, I know just how important the moments are - from big to small. Entrusting your wedding or birth photography and cinematography to someone is a big deal and I completely understand! A wedding day marks the first official day of a brand new family. All the emotions and great times with family members and friends are things to never forget. who understands just how important it is. The food will be eaten. The flowers will wilt away. The only things that will last a lifetime are your marriage, heirloom photos, and movies. I'm here to help, every step of the way. I'm a mama to three wild and wonderful boys. Their birthdays were each the three most transformative days of my life. I am repeatedly awestruck at the creation of life - a mother growing a baby within her for months, the power and bravery she shows while bringing that life earth side, and that oh so sweet moment when she lays eyes on her little one for the first time. Labor and delivery can be such a blur - a whirlwind of emotions, intense lows followed by the most extreme high. 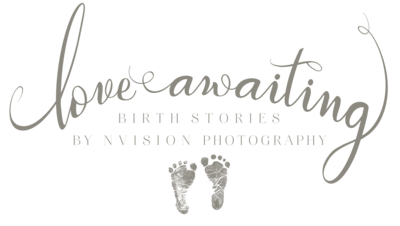 Birth stories are the perfect way to recount all the details of your baby's arrival and first moments of life.